Singapore Flyer placed under receivership: What went wrong? It struggles to meet passenger target. The Singapore Flyer has been placed under receivership a mere five years after the attraction first opened on failing to meet financial obligations. Local broadsheet The Straits Times reported that passenger numbers were “below targets”. London Eye is UK’s number one visitor attraction. So there is no reason why Singapore Flyer cannot be successful as well. After all, it beats the London Eye in the size department by more than ninety feet! To be successful, Singapore Flyer needs to learn from other attractions like Marina Bay Sands SkyPark. The SkyPark has hosted numerous music and TV celebrities from across Asia, United States and the United Kingdom. Singer Katy Perry held a press conference in their pool, requesting reporters to take a dip and 'get wet' for her. Japanese boy band SMAP also filmed a commercial there. The video generated lot of online interest in Japan, with netizens praising SkyPark as a cool tourist destination. Singapore Flyer similarly needs to raise its profile, create a buzz in the global stage and position itself as a ‘must visit’ destination. Also, it needs to increase its focus on the domestic market and run targeted marketing campaigns at Singaporeans as well. 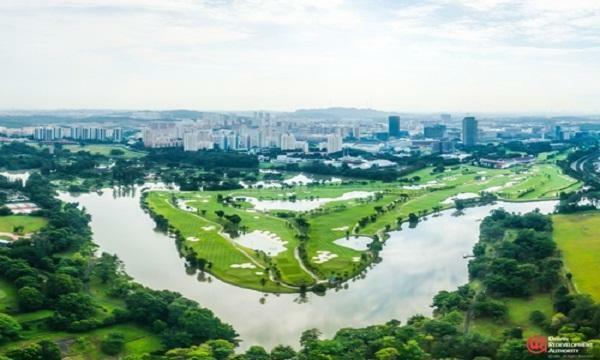 Given parts of Malaysia and Indonesia can be viewed from the Flyer, it should take advantage of this proximity to provide specific products to attract visitors from these next door neighbours as well. Singapore Flyer – not enough lift? “Build it and they will come”. The well know phrase from the 1989 film “Field of Dreams”, only they didn’t appear to come in the numbers required for “The Singapore Flyer”. Was it viable in the first place? 70% of M&A’s fail to add shareholder so did the business plan style succeed over substance. Not every great idea translates into an ongoing profitable business. So some fundamental questions. What was the value proposition? How was it different? How did the management team gel, or not. We know there were problems in 2009? Was the culture open or bureaucratic? What business were they in i.e. an attraction, a Ferris wheel, a unique experience or something else because the market positioning would revolve around that. How was the customer base to grow short and long term? Was the repeat business factor miscalculated? Being brutal was the value really there? Were there other options available at a cheaper price? The view was essentially 180 degrees sea and another 180 degrees inland but are they memorable views? Probably worth a first time, when you need to nail people to come back, but repeat visits? If the marketing cost is spent disproportionately on new acquisition that is an expensive proposition. I believe Singapore Flyer struggled because its entire position was to compete with the London Eye . Singapore must come out with their own unique and iconic attractions that capture the imagination of tourists and its citizens. The mindshare of "Giant Ferris Wheel" is given to the London and competing with that mindshare could be possibly perceived as a lack of originality. In Economics, Singapore Flyer would have made sense (London Eye is the top attraction in UK). In Marketing, Singapore Flyer is not an attraction that has a story, heritage, and brand positioning behind it. It is the lack of these 3 criteria that results in the lack of a pull factor to the attraction. Singapore attractions needs to stop competing to be Best, Number 1, Largest when it comes to marketing to consumers. It should start communicating: unique, once-in-a-lifetime, only-in-singapore. Singapore Flyer doesn't fulfil these wants of international consumers and local consumers when they are looking for things to do when relaxing. 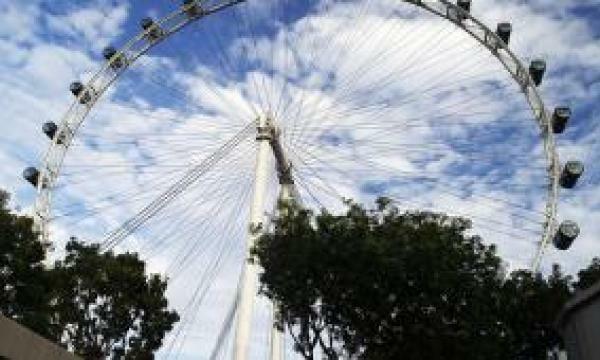 Singapore Flyer's management may have pegged growth rates to that of London Eye. Therefore, the metrics were off expectations. The Singapore Flyer is a semi-public good as a visual landmark in the downtown skyline and a upscale tourist attraction. It is not clear if the current financial woes are the result of business model viability or sub-optimal operational performance. Should it be a business viability issue, it will make sense for government to consider various forms of support (reduced rental, direct subsidy, etc) possibly in exchange for equity to make the Flyer financially viable. If the inability to meet its financial obligations is caused by poor operating performance (marketing, promotions, etc), then the operations team should be revamped by the existing or new owners. Regarding ridership, an area of improvement is better integration with the heartlanders / community by making it more affordable with pricing tailored for locals.